This is the first interview in my Digital Leadership interview series. 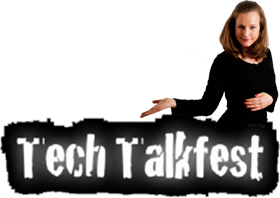 If you have any tips for anyone who you think I should interview please let me know at sofie@sofiesandell.com. Mark Toomey and I connected on Twitter when we both used the hashtag #DigitalLeadership. We have a lot in common and we both believe that organisations need to get digital thinking and practice into every corner of their organisation to future proof themselves. His publications include “Waltzing with the Elephant”, “The Director’s IT Compass” and “The Infonomics Letter”, which is published monthly. Hi Mark, how are you today? Hi Sofie. Today, I’m travel weary. I’ve been in beautiful Adelaide for meetings with business and IT leaders, focused on Digital Leadership. My day started at 05:00 and will end at about 21:00. I’m writing this as I sit in the airport awaiting my delayed flight home! At 58, I’m the elder of 9 children who were brought up in various classical Australian situations – on a vast cattle station, on a dairy farm, in pubs and in suburbia. I have two adult children, five step-children, one grandson and a granddaughter due soon. My partner Leonie and I live in the Dandenong Ranges, on the eastern fringe of Melbourne. I’ve spent 37 years now in the IT industry, as a software developer and business solutions designer, then as a consultant (which included 2 years working in London) and then, for the past 13 years as an independent specialist and thought leader in governance of IT. I was part of the team that developed the first standard for governance of IT – AS 8015 and subsequently became responsible for finalising the text of ISO 38500, which was evolved from the original Australian Standard. What led you into working with leadership and particularly digital leadership? When ISO 38500 was published, I made the choice to focus on communicating its messages on a global basis – not an easy task when there is no major corporation or professional association backing the effort. A key message in ISO 38500 is the emphasis on driving use of IT from a business perspective, and business taking up its responsibility for both driving the agenda for use of IT and subsequent realisation of value. Considering that the heart of the Digital Era is evolution and innovation in use of IT, ISO 38500 really is a critically important guide for leaders of organisations that must make the transition to being truly digital organisations. As I looked at the evolving landscape of the Digital Era, I realised that many of the companies which experience trouble do so because of weak top level leadership – even when the people at the coalface know very well what sort of digital transformation is required. On the other hand, I have seen organisations undergo extraordinary transformation only because they had the most digital-savvy executives running the business. You’ve been involved in international standards development and IT governance. How did you get involved in that? It was a natural progression, in which fate played a part. I had been advising boards on governance of IT since 2000, and was at a conference in 2003 when Standards Australia descried its new project to develop guidance on governance of IT for boards in the form of a standard. The intriguing thing was that the committee formed to develop the standard had no business leaders and no representatives of company directors. Being a member of the Australian Institute of Company Directors, I made enquiries and soon found myself in the role of Company Directors’ representative. From there it was inevitable that I became involved in the international adoption. And I worked on the international committees from 2005 to 2012. I’m still involved, though for now as a background member of the Australian committee. What does the standard help organisations with? Tell us some more about the standard. ISO 38500 is 15 pages of very compact and high level guidance for directors and executives on how to direct and control the use of IT in an organisation. Many people think that COBIT, ITIL etc are governance models – but they describe management process, and should correctly be called management frameworks. When this is understood, the role of ISO 38500 becomes clear, and it helps the people at the top maintain control and oversight without ever needing to become involved in the detail. To use ISO 38500 effectively demands deep thinking to understand how to apply its messages. To help managers, consultants and directors with that thinking, I wrote a substantial book that was published in August 2009. The book is called “Waltzing with the Elephant” and is named so because IT really is the elephant in the boardroom, and the board must go beyond seeing the elephant – the board must learn to dance, in a very elegant and controlled way, with this elephant. I’m sure that many of your followers can identify one or two companies that have learned to waltz with the elephant, while we probably see many more where the board is still terrified of, or even totally denying the existence of the elephant. Of course, sadly, there are also companies like HMV, which have been trampled by the elephant – largely because they denied the elephant’s existence! I’ve assessed many organisations against ISO 38500. Only two have legitimately demonstrated a level of performance that could be called acceptable. The gaps in some cases are extraordinary, and give very sound understanding as to why many organisations are struggling with their journey into the Digital Era. It’s simply not possible to even conceive, let alone deliver, major Digital Transformation, unless there is very sound capability in governance of IT. What will happen to organisations if they are not thinking about the future and the impact digital has on them? Well, we’ve seen what happened to HMV. There will be more like that. Some will die soon. Others will hang on for a long time, and their death throes will be excruciatingly painful – more so because we know that, with proper recognition of the changes happening around them, they all had time to re-invent themselves and maintain their long term viability – even if it meant a total change of business model and purpose! How do you describe a digital leader? activate all resources for change. If a business is struggling with their digital knowledge, they have no idea where to start and think it’s complicated. What tips would you give to them? I’m working on that problem. I think that the ISO 38500 governance standard, my book and my Infonomics Letter can help. There is an increasing body of commentary in the marketplace, and there will be real growth in published insight over the next couple of years. Which aspects of our strategy exploit advances in the capability, supply and use of information technology to give us a sustainable strategic advantage? Which aspects of our strategy will be blindsided and rendered obsolete by our competitors’ innovative use of information technology? What aspects of identified, foreseeable and unforseen supplier, customer and regulator use of information technology has influenced our strategy, and what other aspects could render our strategy impotent? Do the CEO and executive management team fully comprehend the role that IT currently plays and the role that it will play in the future in our business market, and how have they demonstrated that comprehension in the strategic plan? How does each element of our strategy for use of IT contribute to our current and future competitive advantage and business performance? Which aspects of our current and proposed future use of IT are, or will be a competitive disadvantage, and why is this so? Which organisations are building competitive advantage for themselves in our business space, and how are we responding to the threat they pose? For a complete discussion of these questions, see the August/September 2012 edition of The Infonomics Letter at www.infonomics.com.au/Newsletter.htm. What is your goal with your work in digital leadership? I want to close the gap in top level digital leadership – first in Australia and then, perhaps, around the world. 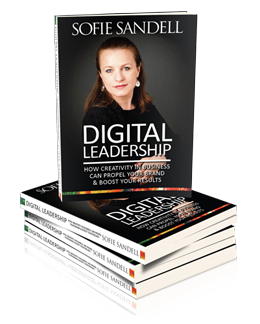 I want to help ordinary business leaders become extraordinary digital leaders. My immediate challenge is to work out how to deliver on this immense challenge. Is there anything the readers can help you with? Connections? Any and all suggestions are welcome. Sign up for The Infonomics Letter and follow the journey! Thank you Mark for being part of this series! According to McKinsey’s survey it shows that executives on a C-suit level are more involved in and are driving digital strategies compared to last year. Our customers are more and more demanding and they expect better and faster service. To meet their needs businesses must step up and use new technology to be a good service provider. Businesses that choose to stay behind with digital development are loosing customers, and may put themselves at risk of going bust. Despite the host of technical challenges in implementing digital, respondents say the success (or failure) of these programs ultimately relies on organization and leadership, rather than technology considerations. As businesses continue to embrace digital tools and technologies—especially when engaging with customers—C-level executives in a recent McKinsey survey1 say they are stepping up their own involvement in shaping and driving digital strategies. This is vital to the success of digital programs, as survey respondents most often cite a lack of senior-management interest as the reason for an initiative’s failure. Respondents also suggest that organizational alignment is critical to seeing real business impact from digital. In the survey, we asked respondents about five digital-enterprise trends: big data and advanced analytics, digital engagement of customers, digital engagement of employees and external partners, automation, and digital innovation.2 Specifically, we inquired about their companies’ adoption of and focus on each trend, what impact digital technologies can (and do) have on their businesses, and what obstacles companies face in meeting their digital goals. We found that despite the organizational and talent challenges, executives remain optimistic about digital business. They report, for example, that their companies are using digital technology more and more to engage with customers and reach them through new channels. What’s more, growing shares report that their companies are making digital marketing and customer engagement a high strategic priority. Nevertheless, there is more work to do: most executives estimate that at best, their companies are one-quarter of the way toward realizing the end-state vision for their digital programs. Executives say each of the five digital trends we asked about is a strategic priority for their companies.3 Of these, the trend that ranks highest is customer engagement: 56 percent say digital engagement of customers is at least a top-ten company priority, and on the whole respondents report notable progress since 2012 in deploying practices related to this trend (Exhibit 1). Companies have made particularly big gains in their use of digital to position material consistently across channels and to make personalized or targeted offers available online. The digital engagement of customers accelerates. By comparison, companies have been slower to adopt digital approaches to engaging their own employees, suppliers, and external partners. Here, executives say their companies most often use online tools for employee evaluations and feedback or knowledge management; smaller shares report more advanced uses, such as collaborative product design or knowledge sharing across the supply chain. Responses also indicate growth in the company-wide use of big data and advanced analytics, matching our experience with companies of all stripes, where we are seeing executives consider analytics a critical priority and dedicate increasing attention to the deployment of new analytic tools. Notably, respondents report increased use of data to improve decision making, R&D processes, and budgeting and forecasting (Exhibit 2). What’s more, executives say their companies are using analytics to grow: the largest shares report focusing their analytics efforts on either increasing revenue or improving process quality; reducing costs tends to rank as a lower-level priority. The use of big-data applications has also grown. Likewise, when asked about the next wave of business-process automation, respondents say their companies are automating a wide range of functions to improve the overall quality of processes (by removing breaks or errors, for example) or to build new digital capabilities (for example, remote monitoring) into the processes; few say their companies have automated processes primarily to replace labor. When asked about innovation practices, more than 40 percent of respondents say their companies are either incorporating digital technology into existing products or improving their technology operating models (for instance, using cloud computing). Just 23 percent say they are creating digital-only products. Across most of the C-suite, larger shares of respondents report that their companies’ senior executives are now supporting and getting involved in digital initiatives (Exhibit 3). This year, 31 percent say their CEOs personally sponsor these initiatives, up from 23 percent who said so in 2012. This growth illustrates the importance of these new digital programs to corporate performance, as well as the conundrum that many organizations face: often, the CEO is the only executive who has the mandate and ability to drive such a cross-cutting program. CEOs are now more likely to sponsor digital initiatives than they were in 2012. Thirty percent of respondents also report a chief digital officer (CDO) on their companies’ executive teams, a sign of the widespread awareness that these initiatives are important. This result also squares with our experience that some organizations have created the CDO role as an executive-level position with cross-cutting responsibilities for all digital initiatives. In a sign that this new role is already creating value, respondents whose organizations have a CDO also indicate significantly more progress toward their digital vision than those without one. Despite the host of technical challenges in implementing digital, respondents say the success (or failure) of these programs ultimately relies on organization and leadership, rather than technology considerations. We asked executives to think of past initiatives at their companies (one initiative that worked and one that didn’t) and then identify the most decisive factors behind each outcome. Executives most often attribute the success of digital programs to managerial factors—senior management’s interest and attention, internal leadership, good program management, and alignment between organizational structure and goals—and are less likely to cite any technical considerations (Exhibit 4). Interestingly, the absence of senior-management interest is the factor respondents most often identify as contributing to an initiative’s failure. What are your favourite buzzwords that you love to hate? A while ago I wrote about confusion with words and language. Buzzwords can sometimes confuse us out of our mind, make us pretend we know something we don’t; and this is not good for anyone. When I posted this in the group Creativity Champions on LinkedIn I got some funny replies that I would like to share with you. I asked: What’s your favourite buzzword that you love to hate? `Trust me’. Trust is something earned not bartered. What is it with people who want to be on ” The same page” . Where is the creativity in that? Let us “all beat the same drum”. This might be defined as the low point for collective consciousness . As a company, some people need to :shoot for the moon” to have ” a one in a million” chance to create that one product ” to die for”. Thanks for letting us “speak our minds”. We use far too many buzzwords when communicating with each other and we have rarely defined what they mean. Do who pretend to understand what a word means in a meeting? Or do you ask for a definition? Two of the words that I think are misused in many ways are strategy and planning. Often when you say something about strategy you are actually talking about the next step in the plan. Alternately, when you mention the plan you are really talking about strategy. This is very confusing and often you will hear things such as: “But that’s not included in the strategy so we should not be discussing it”, and relevant ideas can get side-lined. When you try to set the strategy and plan it can be everything or it can lead to nothing. When you are talking about the future and what you want to do and getting people involved, avoid using the word “strategy”. It can confuse your audience. Try to use another word for it. Use something like “planning for the future”, then more people will buy into the discussion. The word strategy when used in the wrong way can disengage part of your team. They might not think they have to contribute to the overall strategy. But planning for the future sounds more inviting and more people will contribute. The more people you have engaged in the discussion, the better the “plan for the future” you will get. This is from my own experience working with digital development. Often when you are working in a digital team, you use the word “roadmap”. You use the word “roadmap” to describe your digital development plans for the future. You put in the most crucial elements at the beginning of the roadmap and the less crucial elements at the end of the roadmap. This roadmap is then directing you step by step on how to move forward. It is important to share this document with everybody who is involved. A good leader or manager will automatically share this knowledge with the teams involved and keep them updated about what has been done and what is due to be completed next. One person probably owns the roadmap and makes sure that it is updated on a regular basis. Lots of people in the digital teams will come and ask other teams for an update. People want to give suggestions and the more you know about what technical developments are in the plan, the better the answers you will be able to give them. I would definitely recommend that you as a manger or leader in a digital team share the roadmap with others and explain what you mean by “roadmap” as in different organisations roadmap can mean different things. It can be the whole plan for three years of investment in one organisation or it can be what is going to happen in the next three months in regards to the marketing plan. Both can be called the roadmap. When words are not defined and agreed on, miscommunication will occur, and we know that we need to improve our communication. 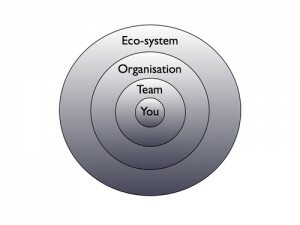 It takes a lot of resources to develop a business or organisation. For example, building a new website can take years, building a new database needs careful consideration, social media needs to communicate your brand values and your employees involvement is crucial to make your team reach the level of excellence that is needed. If you get this wrong and your colleagues are not involved then your development will be slow and cost more money and need more resources. This advice is for salespeople, marketers, business leaders, for people working in operations, people working in customer service; it’s for everyone. We all need to be clear with words and what they mean. To sit down and discuss what we mean by different expressions can actually save you from a lot of misunderstanding. One way I have developed of establishing a shared view of language is through small informal workshops. You collect a group of people, you sit down and you discuss what you mean by different expressions. It should be a quick meet-up. Move on and continue another day if you can’t come up with a definition within one hour. Then, after you have agreed on a common meaning, it is up to everyone to practice and talk to each other using the relevant expression. A workshop like this will give people energy and inspiration to dare to try to become a better communicator. The knowledge transfer is going to be smoother, skills will be shared and your colleagues are going to feel motivated. Stop using vague words when speaking to your colleagues. Be conscious that people will mean different things when using the same words. Don’t give your interpretation of the words more credit; your understanding might need to be readjusted. Choose your words and expressions wisely. It is crucial for organisations to have a good concept and understanding of what different expressions mean in order to move in the right direction together. Together you are much stronger. I know it sounds a bit like a cliché, but it’s true. A CEO who blogs is making a huge impact on their colleagues, customers and the world around them. They are communicating their thoughts and ideas to the whole world and that is opening up to all kind of conversations and development. If you know of any other CEO blogs please let me know. Contact me through LinkedIn, Twitter or comment below. Connect, tweet, click. Social media is fast, and if you are using a platform such as Twitter you are getting exposed to the whole world and people can reply back to you immediately. There are no walls protecting you. It does take up some time, and you have to learn about online networking. Gosh, who have time for that? Isn’t this just another critical risk? Social media and online networking does take a bit of time every day. And of course if you share inappropriate things online there is a risk involved, as it would be with sending emails with sensitive content to everyone in your address-book. At the moment very few CEOs and business executives are active in social networks. If you are a numbers person you will love this: there about 1 billion people on Facebook, over 500 million accounts on Twitter and the research shows that yet only 7.6% of Fortune 500 CEOs have bothered to jump on Facebook, and just 4% have opened Twitter accounts. It looks as there are a few more customers to gain for Facebook and Twitter. I also know that many CEOs hardly have bothered to get a proper LinkedIn account. I once worked in a place where the CEO had a LinkedIn account with only three connections. It did send out a very anti-social message to all employees, who of course noticed this and made fun of him. As a leader today your online brand is very important, it says a lot about you, what you stand for and believe in. 1. Get started. Social media will stay in our lives and it’s about networking and connecting online. You who wears a c-suite (CEO, CMO, CIO, CFO) should not be seen as one of these anti-innovation people, you know someone who’s refusing to stop using the typewriter when they should use the computer. Accept that the change is here to stay and start learning how to do it. 2. Check out who is active and influential on social media in your organisation. You can use Klout or Kred to see who is influential. 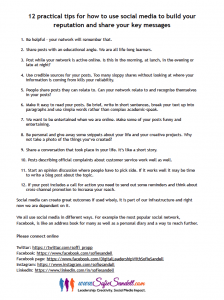 Highly influential people in social media can be very helpful for your organisation. If your organisation is lacking influencers it’s time to encourage people to start using social media. 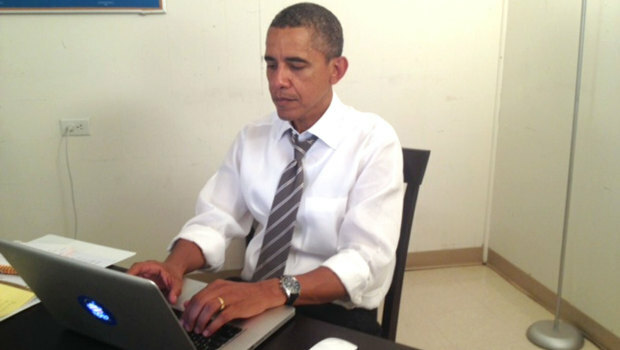 Just to give you an indication: Barack Obama has Klout score 99 (100 is the highest). The British celebrity Stephen Fry has Klout score 89. My Klout score is 62. Everyone over 50 are seen as elite on Klout. 3. Be authentic. It’s much better to do most of the updates in your social networks yourself. Do fewer updates but let the message come from you. Other people might inspire you with ideas and that will help you to be better. If I read updates on a Twitter account I can say in less than 30 seconds if it’s the person behind the name of the account who’s written the updates or if it’s the PR department. 4. Make sure you track the feedback you get from your customers. If your company doesn’t have an online customer support who tracks what people say about you on Twitter etc. it might be a good idea to get one. This is just a new way to keep in touch with your customers. 5. Allow people to try out new ways of communication online. Setting up too many rules will put people off and they might end up doing nothing instead. Get the legal team together with the social media experts in your organisation to write a social media policy. Things are moving swiftly in the social media world and the policy needs to be updated on a regular basis. Proper training in what you are allowed to do in social media networks is probably the best prescription to avoid future mistakes. Everyone who’s posting online are publishers. In a minute you can make your voice heard and inform and inspire others. You who have a leadership position in an organisation need to support innovation and creativity. You’ll be seen as an innovative leader if you are using social media to communicate with your stakeholders. What we see today in social media is just the beginning, there are much more to come around the corner. Learn from the best, check out Richard Branson’s twitter account. He has over 2,5 million followers. Read an article about how Richard Branson is using social media to connect with his customers. With a background in sales and marketing and a master in business administration, Sofie has extensive and diverse business experience under her belt. Fascinated by the web and how it connects with its visitors, Sofie has been working with the web for many years. As a pioneer in social media she early saw its potential and has a deep understanding of the subject. 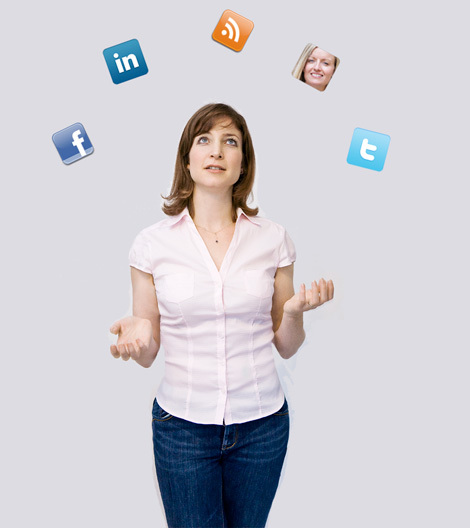 Sofie has gained a wealth of experience managing integrated digital marketing campaigns and e-commerce projects at a major publisher in London, she has worked as e-commerce manager for one for one of the biggest TV-channels in the UK and until recently Sofie was the website manager for Junior Chamber International UK and where she set up over 14 websites. Today Sofie works as a consultant and trainer helping organisations to get the most out of their digital marketing activities. I recently read in a blog in Harvard Business Review that creativity is the most important skill to have to navigate a more complex world. So is this a problem? Aren’t organisations around the world creative? Yes, some rare organisations are, but when an organisation stops being creative they are risking being a stuffy place where everything takes forever. Your organisation has become old and are not willing to learn anything new. New fresh ideas are not seen as a valuble asset and the organisation is not listening to their employees nor their customers. They have become institutionalised.When I am talking about creativity one big part is how you are handling new ideas, and how your and your team, organisation and the whole ecosystem are working together. I have heard many times things as “We have tried that before and it didn’t work” what that really means is that the people who did it then could not do it. Do you think in the same pattern? Are you just slightly improving what you have? Well, to be great and stick out today you need to do things differently. And doing things differently means that you have to open up the creative resourses you have within you and your organisation. I believe that many people and organisations are killing the great ideas on an early stage, but there are tools to get around this (which is one thing I teach at my Creativity Workshops) At an early stage it is difficult to recognise a great idea, they have a tendency to hide among the bad and mediocre ideas. You have your personal creativity, your teams creativity, organisational creativity and the creativity in the ecosystem where you belong.You are personally responsible to feed your creativity, and it can help to review what’s helps you to get into a better flow. In your team, how are you handling new ideas? In a nice way or are you rude to the ideas? Can your organisation welcome creative thinking? Or are you stuck in old patterns? Is the ecosystem you are working in holding you back and you feel like it’s impossible to innovate and bring new creative solutions to the table? You need to say yes and welcome the new ideas from the start. It means that you have to dare to improvise. Treat the ideas with respect, then they will transform into the most beautiful creature you can imagine. There are some good processes that you can use to get this flow working better. You can compare an organisation with the life of a human. When a start-up is born they are curious and hungry. They then become teenagers and are slightly more resistant to change. 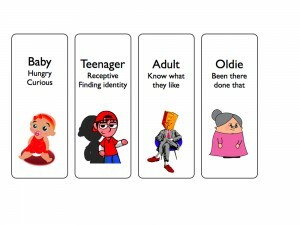 Later the organisation is turned into an adult and know what they like, and are less likely to change, in the end the organisation is old and know what they like for breakfast, lunch and dinner. They are not likely to listen to new ideas and the whole organisation is at risk being left behind. You must prevent being a person or organisation who’s saying no to new ideas. If you don’t watch out you will find yourself being an old institution who is not responsive to anything new. Our creativity workshops are designed in three different formats; 2 hours, 3,5 hours or whole day. This reminded me about three vidoes about accessibility that I produced a few years ago. All people should be able to get around buildings and public spaces indepentently and with dignity. We all have different needs and abilities and thinking inclusively in your design you makes it accessible to everyone. Don’t you want all people who visit Göteborg to be able to spend money and contribute to the economy? Everybody who knows me will know that I have been involved in Junior Chamber International for a while. I was the President of JCI London in 2008 and had a fantastic year. In JCI you have ‘one year to lead’ and one year to make an impact. It is an interesting structure, it has both positive and negative sides to it. I’ve met a lot of people in JCI who has taken on a leadership position and found it scary and daunting to take over after a former successful leader. I know about this phenomenon from my own experience. Your limiting beliefs are telling you that you might not flourish and you might think that it’s not going to be possible to be as successful as the leaders before you. One thing I’ve learned is that you aren’t there to fill anybody else’s shoes. You are there to be YOU and develop your skills. We are all fantastic and amazing in different ways and it’s more about how you choose to work together with the people around you that will determine how successful you are. If you are enthusiastic that will spread to the rest of the team and your members. And an enthusiastic team is something you’ll be very grateful for. Your year as President will be full of surprises, both positive and negative. The road can be a bit bumpy and you don’t really have a map. Being the President is like managing a smaller business and there are a lot of things that just have to work out. How come they say this? I think it is because JCI is talking to their spirit and resonate with their inner values. You are allowed to try new things in JCI. People will encourage you to go outside your comfort zone and you’ll grow a lot while trying out new stuff. That is what makes it exciting. Often your day job will not provide thise kind of opportunities. Please, don’t be afraid. We can’t do anything about the past, we can only challenge our own limiting thoughts and move forward with what we have. And what you choose to believe has huge impact on your life and your year as JCI President. You only have one year to make a difference, so you don’t have time for too many limiting beliefs, my tip is to kick them out of your head today!